Versatility is one of the main strengths of strings studies – including strong traditions and a theoretical knowledge of the performing arts on the one hand, and links to contemporary performing practices on the other. Students are encouraged to take a broad but integrated approach to the studies they undertake around their principal study, forging connections between technique and creativity, musicality and theory. 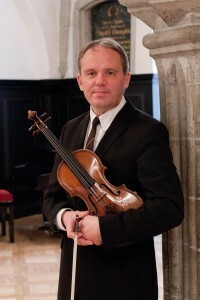 The faculty members include experienced professors such as Mari Tampere-Bezrodny and Urmas Vulp; Arvo Leibur (head of studies) and Triin Ruubel – both leaders of the Estonian National Symphony Orchestra, Henry-David Varema (principal cellist of the Estonian National Opera), Mati Lukk (principal double bass of ENSO) and Heiki Mätlik, guitarist, recording artist and author of international repute. In addition to individual lessons, ensemble and orchestra practice, the studies are also enriched by regular master classes by international guest professors and opportunities to participate in different projects and perform together with professional musicians.